Lynda is a Rep’s registered personal trainer and Registered Nurse. She is the owner of Puff Fitness. 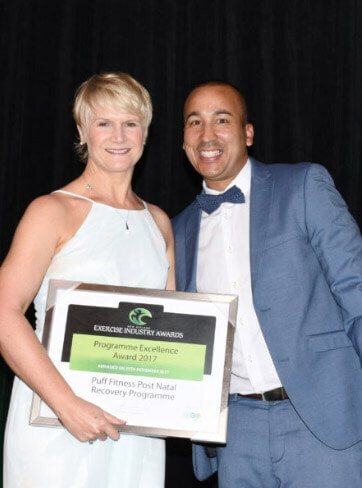 After 4 years of running and extensively building her live Wellington Postnatal recovery classes she was awarded Programme Excellence at the NZ Exercise Industry awards in November 2017. Lynda has excellent skills in programme design such as, finding out what postnatal women really want and going all out to deliver on that. 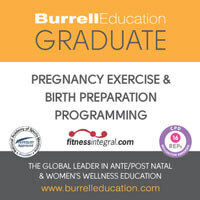 Collaborating with other health professionals, and building in progressions to her programme so women achieve the results they really want. 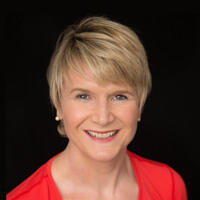 Lynda is excited to take her skills as an award winning programme designer to the online global market. Here she will create more programmes to cater to women’s health and and fitness and reach a wider audience to help more people. Lynda has now employed staff to run her live Wellington Postnatal recovery programmes for her so she can grow her business off shore. 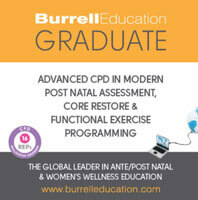 She is looking forward to growing her live classes around Welington and New Zealand over the years ahead. You will find Lynda’s programmes to be rich in content, highly educational, and easy to understand. They aim to make you feel fitter and stronger and more confident to continue to exercise through some of the more challenging life stages. Lynda hopes you will enjoy her programmes as much as she has enjoyed creating them for you. Below are some of my other qualifications.